Unique, personalised gifts for a special grandson on his First Holy Communion day. 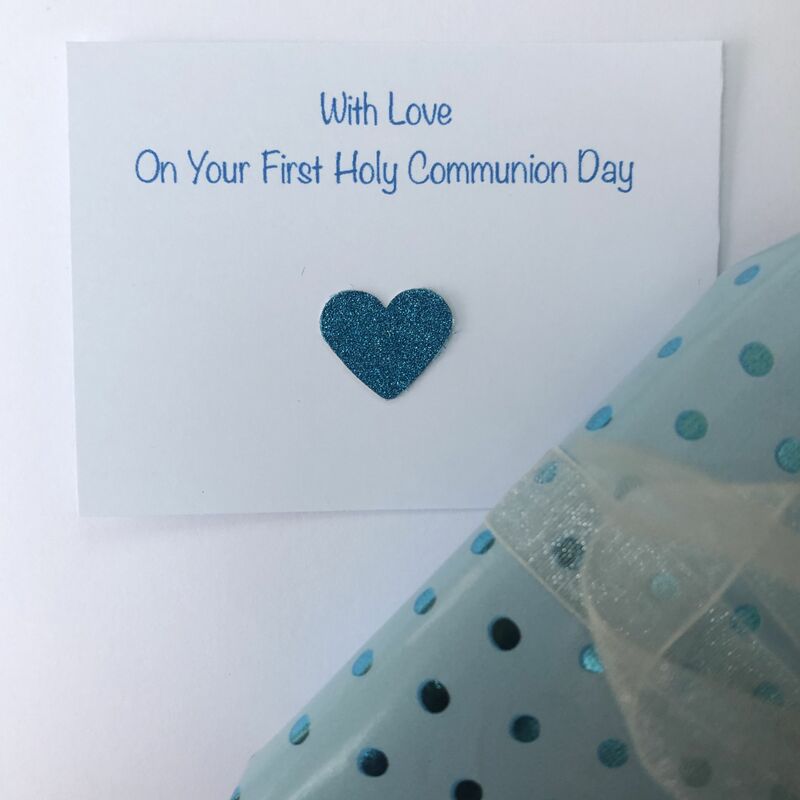 Every jewellery gift comes with wonderful little extras; a personalised First Holy Communion card, a personalised gift box, little prayer book, prayer card, wrapping paper and ribbon..making the most special Holy Communion keepsake gift for your grandson. 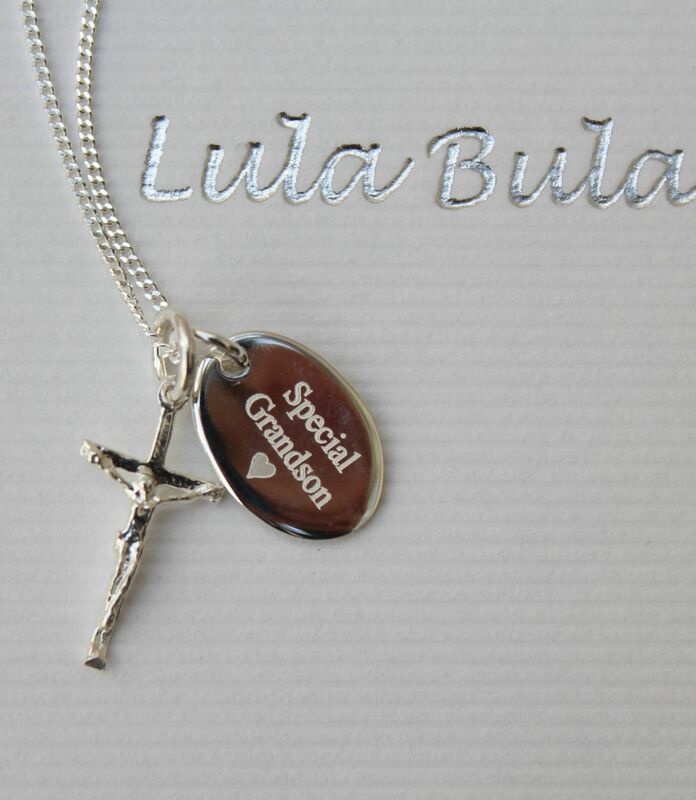 Our gorgeous sterling silver crucifix has a sterling silver tag attached which can be engraved on both sides with message / names / dates on both sides. (Maximum 25 characters engraved on each side) - shown with message; Special Grandson engraved on the front with a little heart. 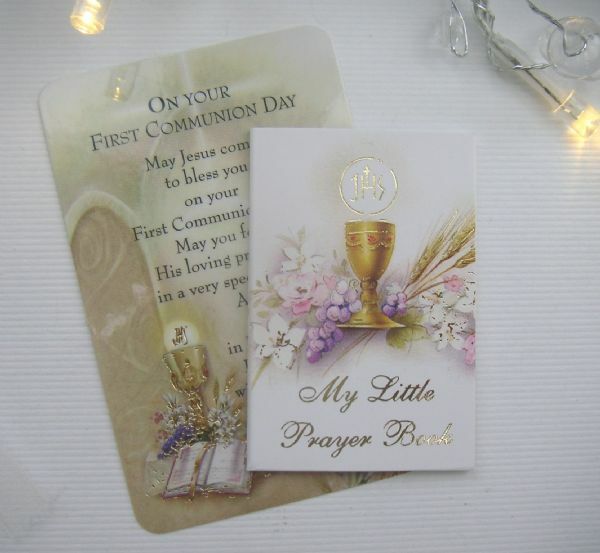 We can engrave messages / names / date of your choice on each side. This boy's silver cross necklace comes on a choice of 14" / 16" / 18" silver curb chain. The silver cross measure approx 1.2cm x 1.2cm and the silver tag also measures approx 1cm x 0.9cm.